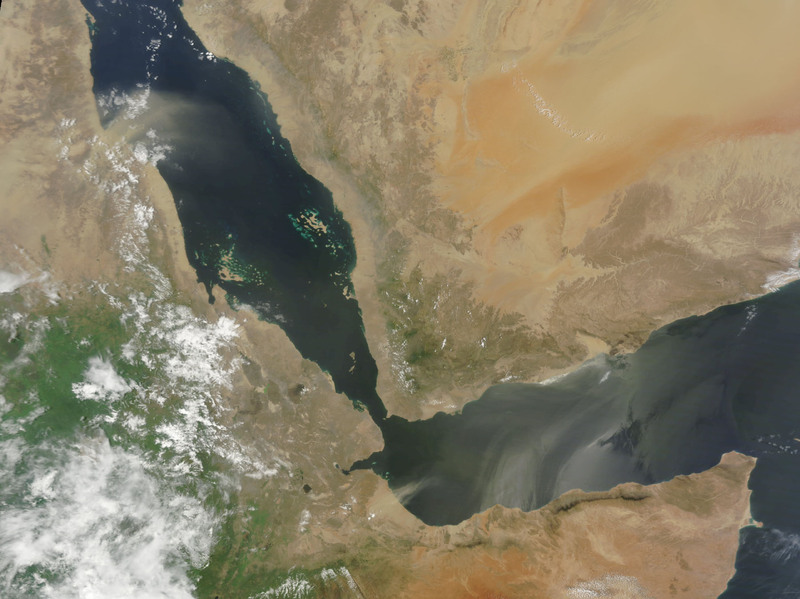 Facilitating the passage of 11% of the world’s petroleum annually, the juncture of the Gulf of Aden and the Red Sea manifests compelling geopolitical and strategic value for global economies. With an increased naval presence in the Red Sea, the Saudi Royal family has sought to develop a backdoor for crude oil export thus minimizing Iran’s ability to manipulate oil markets with threatening rhetoric in blocking the Strait of Hormuz. This week’s continuing revolution in Yemen represents a significant change to the political and economic landscape, which dictates the power-share and balance dynamics once centered exclusively in the Persian Gulf. Launching an offensive in February of 2014, the Houthis, a Shi’a tribe from the northwest border-region of Yemen, made significant gains by September of 2014 in securing key terrain just 10-miles north of Yemen’s capital, the El Rahaba International Airport. With the overrunning of the Yemeni presidential compound in January 2015 followed by the resignation of President Hadi, a move formally rejected by the Yemeni parliament, the country has experienced severe political decay. In the wake of the Houthis’ offense, the Yemeni political insurgent faction known as the Southern Separatist Movement, or simply al-Harik, has also declared independence inciting violence in the streets of their self-declared capital in the city of Aden. With various factions vying for sovereignty in Yemen, questions arise regarding who stands to benefit from Yemen’s dissent into chaos. 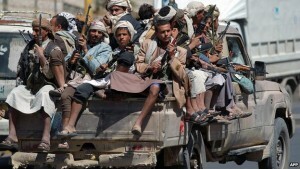 The collapse of the Yemeni government will significantly destabilize an already volatile region. With the introduction of a Shi’a confederation in Sana’a, and al-Harik declaring independence in Aden, Saudi Arabia will be forced to address an increase of Yemeni refugees fleeing an impending ethnic conflict. Moreover, instability on Saudi Arabia’s southern border comes at a time when an ambiguous low-intensity conflict rages on their northern border between adoles cent Iraqi forces and fighters of the well-funded Islamic State of Iraq and Syria (ISIS). A cause for concern, the rapidly degrading situation along Saudi’s Iraqi border has resulted in the refunding of a once dormant public service project erecting a fence to prohibit the flood of refugees. In the wake of Daash leader Abu Bakr al-Baghdadi’s recent calls to attack targets inside of Saudi Arabia, the challenge to protect and defend the Kingdom, and to preserve Mecca as a religious icon for Muslims worldwide, has expounded tenfold. Requiring Saudi officials to react simultaneously to threats against both internal and external state formations, Iran single handily stands to gain from this test of Saudi’s regional superiority. The timing of the Houthi rebellion in Yemen has been impeccable, consummating at the moment of King Abdullah bin Abdulaziz’s death in Jeddah, amidst struggling Saudi economic markets leaving the Kingdom reeling under the pressure of state guaranteed oil subsidies, and at a critical time of escalated political violence in Iraq. Recent events in Iraq and Yemen challenging Saudi Arabia’s ability to guarantee regional stability, appeal to a Persian Gulf regional security complex argument lending significant motivation and intent to subversive Iranian security policy designed to rebuke Saudi regional superiority. Inspiring multiple security dilemmas simultaneously, a subversive Iranian offensive waged by proxy would look suspiciously similar to the current state of affairs. 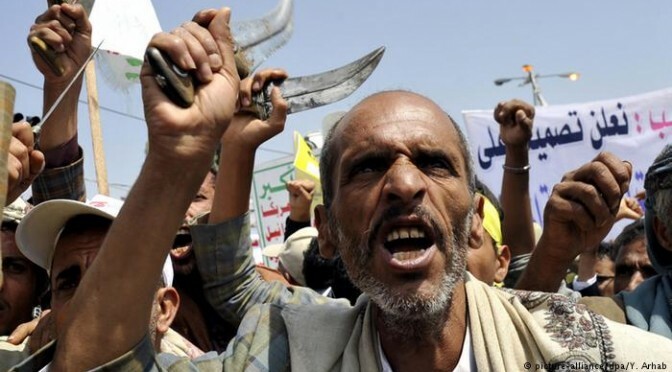 Though the timing and efficiency of the Houthis’ coup indicates a calculated and decisive military action, without empirical evidence connecting the Ayatollah to destabilizing trends in Yemen, Iranian stoking of regional instability is circumstantial at best. It appears however, that after near-term security challenges are addressed, Saudi Arabia will have to negotiate with a budding Shi’a presence strategically located at the adjoining fulcrum of the Red Sea and the Gulf of Aden. With the possibility of an Iranian backed Shi’a government in control of the southern sea-lanes allowing passage to 21,000 seafaring vessels annually, this would imply Persian influence over Saudi’s backdoor to global economic prosperity in the coming decade. Captain William Allen is a US Marine currently serving as company commander of A Co. 4th Combat Engineer Battalion, 4th Marine Division. Graduating from Columbia University’s Middle East Institute with a masters in Islamic Studies, Captain Allen is a Fellow with the Truman National Security Project and is currently serving as the Joseph S. Nye National Security Intern at the Center for a New American Security with their Technology and National Security Program. Captain Allen’s writings can be found in the Small Wars Journal and the International Relations and Security Network at ETH Zurich. The views expressed in his writing are his alone.